As part of the 16 Days of Activism against Gender Based Violence, this important panel will discuss the role and responsibilities of the media in reporting on Sexual Assault, Domestic and Family Violence. 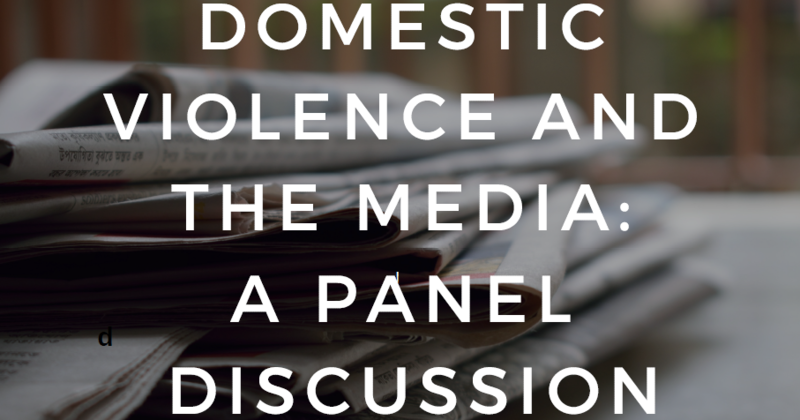 Panelists will explore the important position that the media can have in influencing public opinions about violence and will present different projects and movements that are in place to improve the media’s reporting of sexual assault and domestic and family violence. Panelists include Jan Earthstar (Our Watch National Media Engagement Project), Jenna Price (Journalist and UTS academic, Co-creator of Destroy the Joint’s ‘Counting Dead Women’ project), Amani Haydar (Artist, advocate and survivor of family violence), Nour Haydar (ABC Journalist and advocate against gender based violence) and Renata Field (DVNSW Voices for Change Media Advocacy Project to End Sexual and Domestic and Family Violence). The event will also launch the NSW Voices for Change Media Advocacy Project to End Sexual and Domestic and Family Violence. A project to support and empower women with lived experience of sexual, domestic and family violence to speak up about their stories in the media.